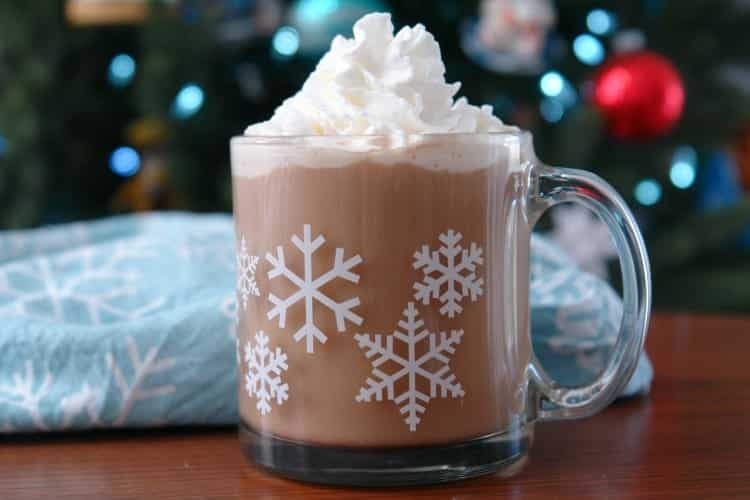 Cold weather is the perfect time for hot drinks. One of my favorites is a salted caramel latte. 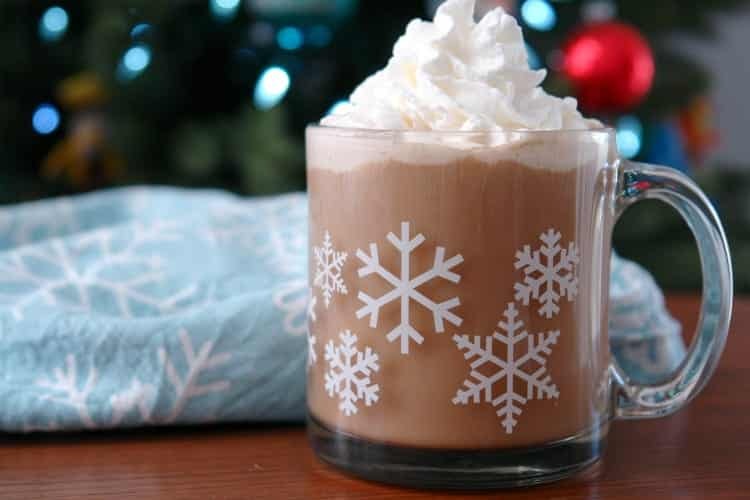 It’s a great drink to sip while watching holiday movies while curled up in a blanket on the sofa. Getting drinks out can get pricey so I like to make them at home. 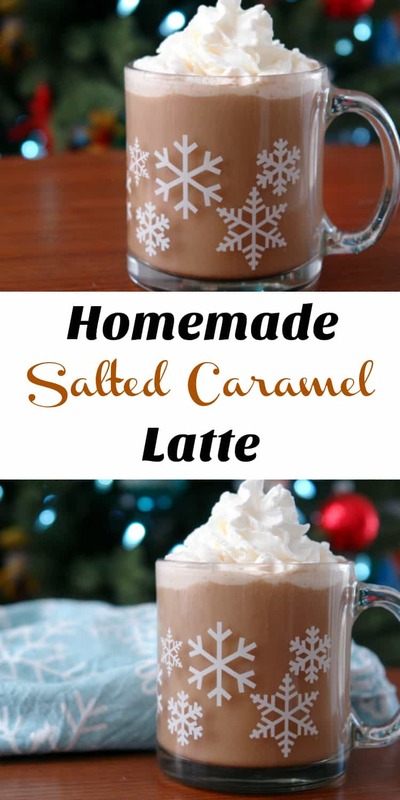 Salted caramel lattes are surprisingly easy to make at home and you get to have control over the ingredients so it can be more natural. You can also make it a bit less sweet to cut the calories. Throughout the winter I tend to cycle through drinking hot tea, salted caramel lattes, and hot cocoa. 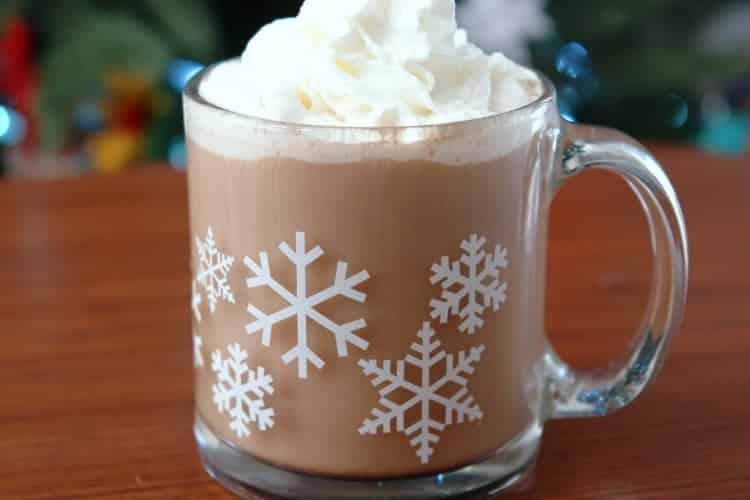 They are my favorite hot drinks to make at home. You can buy salted caramel syrup for coffee but I prefer to make my salted caramel syrup from scratch. It doesn’t take much work and is really delicious. 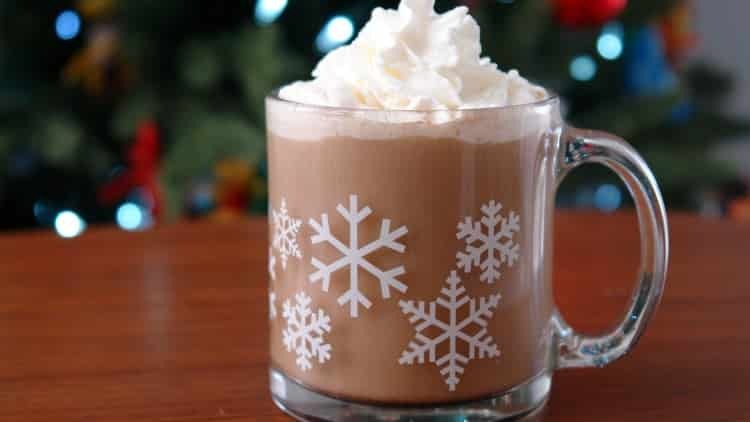 You can also use it in hot cocoa if you aren’t a coffee drinker or for your kids. If you are going to make your salted caramel syrup you’ll need to do that first. It’s best to do it the day before so it’s completely cool. Once you have your salted caramel syrup, you need to brew some coffee. You can also use espresso if you prefer. My preference is french press coffee. I find it to have the smoothest taste and it’s easy to make. While your coffee brews, warm your milk. If you’d like you can froth it. I got an electric frother from Amazon, they are affordable and easy to use. It’s still tasty without frothing the milk if you don’t have one. Pour your warm milk into your favorite mug. 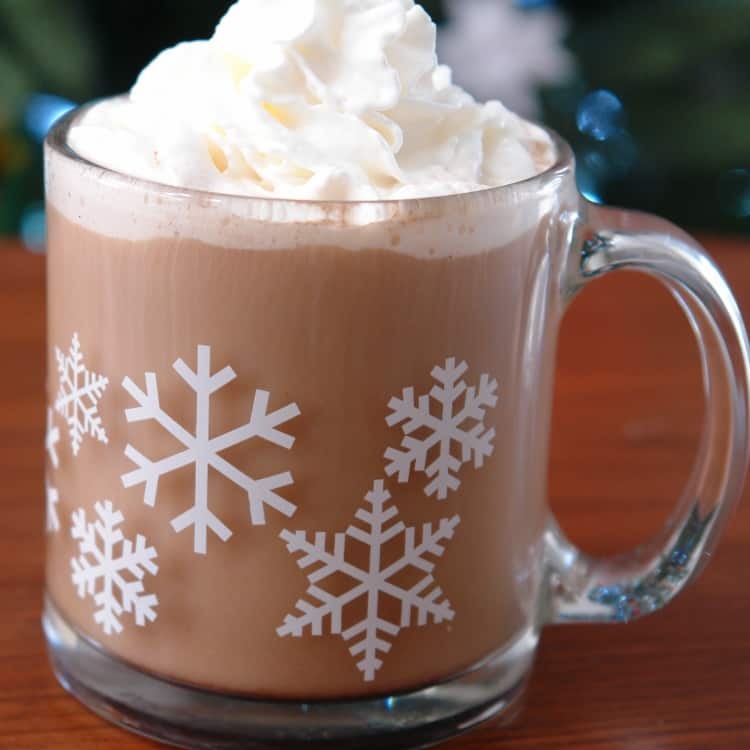 I’m a mug collector and like to use a pretty seasonal mug, clear ones are fun so you can see your delicious creation. Now pour your coffee your mug with the salted caramel syrup, and stir. You can make it an even better treat with a bit of whipped cream and caramel sauce on top. A small pinch of salt on top is also tasty. This is a delicious treat to have along with a warm cookie. You can also make a larger amount and serve these at a holiday party for a fun and different treat. Heat milk over medium heat until warm. Pour milk into a mug. Pour coffee into the mug, add salted caramel syrup, and stir.